Virtual reality (VR) is discussed very controversially at the moment. At one side, many experts such as Mark Zuckerberg (founder of Facebook) and Jerry Yang (founder of Yahoo!) think that VR is going to be the way we connect in the future and that it’s going to be a platform which will be as equally important as all the other platforms that we have at the moment. On the other hand VR is currently admired only from a distance by many consumers and organizations. Most of the people think it is only a force in the gaming and entertainment industry but ClickOn is convinced that it is going to be an indispensable tool in many operations. 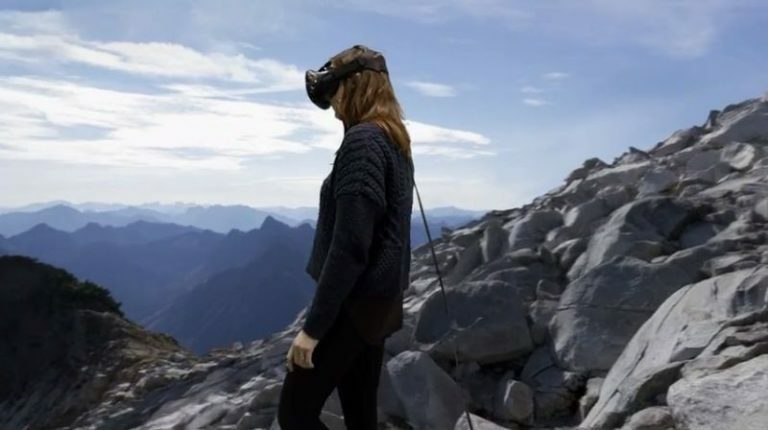 For more information about the potential of Virtual Reality from the viewpoint of business analysts we recommend reading the following article from Deloitte on the billion dollar business virtual reality. Since the beginning of 2016 VR is in an early adopter phase in Switzerland and ClickOn is one of the first companies who embraces the massive potential of this new technology. We just started Virtual Reality Demos at several companies such as one of the “big three” Telecom Operators in Switzerland and in some high-tech industries. A big milestone for us is to test the new VR conference streaming between the office in Switzerland and our developers in Lithuania on the 12th of July. Soon we will officially announce a partnership with GDI as an “experience partner” for their annual “European Trend Day” on March 15th 2017. VR & AR: what’s the real deal? Until you have tried the fully immersive, room scale walk around experience that the HTC Vive offers, you have not seen what Virtual Reality actually is. Fully immersed into the experience, with a headset best compared to a scuba diving mask where your eyes look at two screens instead of the real world. Headsets range from google cardboard, Samsungs gear VR to famous kick started Occulus Rift and current top of the class HTC Vive. Only the HTC Vive offers room scale VR where the user is able to stand, walk around and intuitively interact with the virtual world. The other headsets just offer 360 degree look around from a fixed perspective, able to choose from different POV (point of view). 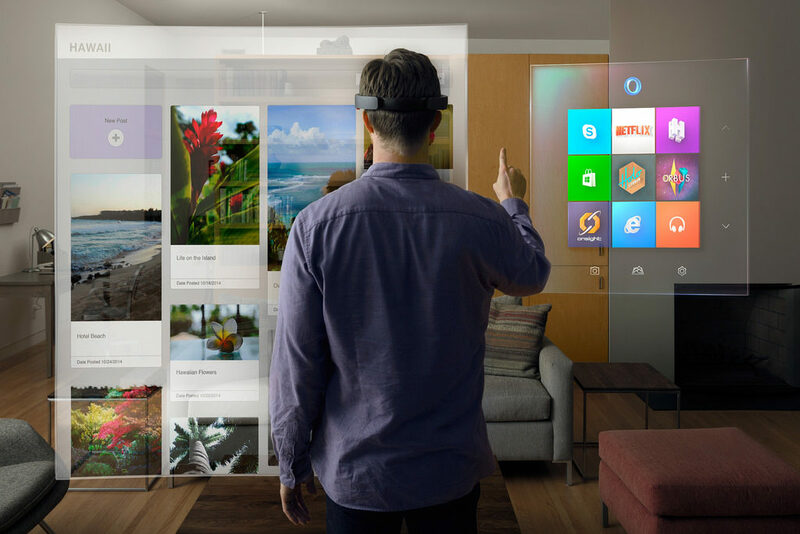 With this kind of headset you see the virtual world (3D models) overlayed into the real world, looking through two very transparent screens, similar concept to a beamer. Apps like tripadvisor, peakfinder or our AR Watch app also use AR technology to overlay reality with 3D models or digital information. 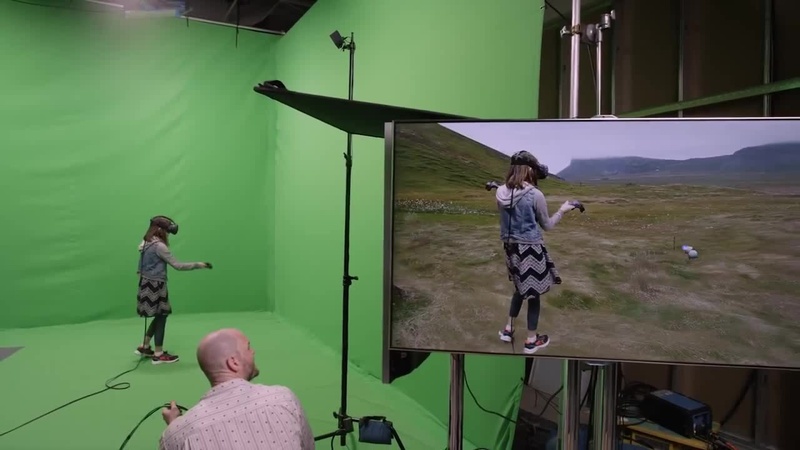 At ClickOn we talk about “mixed reality” and do not put VR in a battle against AR but instead we see that every use case and application has different hardware and technology possibilities. Content Production. All the hardware and demos are nice and amazing, but after some weeks the initial wow effect disappeared. This is when you need content producers like ClickOn.ch who consult your business to the appropriate use case and who are able to deliver tailor made 3D experiences for VR, AR, and any other Channel. With rapid 3D scanning production time can be reduced and even complete planning processes in your business can be optimized. As big as the potential of VR and AR is, as focused yet out of the box you must think. VR is used in the medical and dentistry fields where it has several advantages over the conventional system. For example it is a great new option to cure phobias and manage Schizophrenia by exposing the patients in moderation to a fear. Also it can be used for the physiotherapy purpose to motivate the patient for moving around and exercising muscles. VR also provides many great options for companies. For example it allows 3D Editing, amazing Communication and Management Tools such as a virtual Management Rooms where you can meet your employees from around the world, Data Visualisation and Virtual Showrooms. VR is very useful for Training Purpose because it’s the best way to practice dangerous things in a safely environment. It is used for Disaster Simulations, Health and safety training, Driving School Simulators, First Responder Training, Workplace Introduction, Courses requiring 100% Attention. The best thing to discover the amazing possibilities of Virtual Reality is to assure oneself. If you are interested in a VR demonstration for your company please contact [email protected].